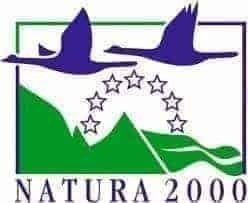 That was the recommendation of participants at the interactive workshop “Natura 2000 management” held in Alba-Iulia, Romania in February 2014. The issue of the size for European wilderness areas is a complex topic and was vividly discussed by the international team of experts. Some of them welcomed a new opportunity also for smaller areas to join the European Wilderness Network, others suggested to particularly highlights the importance of the large wilderness areas with argument that Europe need large wilderness areas (more than 10 000 ha) as a model and motivation for park managers to work more widely for wilderness conservation. More wilderness areas means not only more parks managers involved to the wilderness management but also more opportunity for visitors to experience this unique model of biodiversity conservation. This is a particularly truth when the wilderness conservation is based on the concept of wilderness continuum ep-wise approach when even smaller areas are invited to the wilderness family with intention to motivate them to share experience and also gradually improve their wilderness quality standard! For more details on the Definition of Wilderness please follow the link.